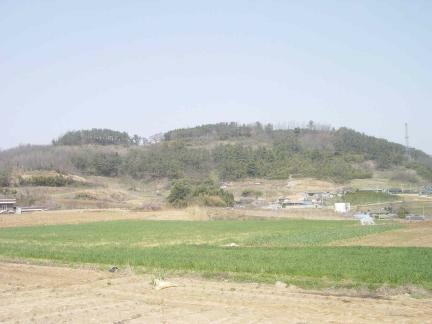 정읍 고사부리성은 성황산(해발 132m) 정상부 두 봉우리를 감싸고 있는 성으로 백제시대에 초축(初築)되어 통일신라 때 개축되었고, 고려시대를 거쳐 조선시대 영조 41년(1765) 읍치(邑治)가 이전되기까지 계속적으로 활용되었던 성곽이다. 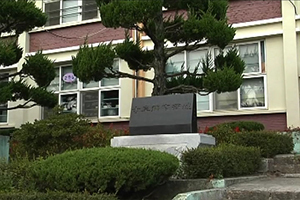 조선시대 전기까지 석성(石城)이었으나 조선조 후기에 토성(土城)으로 개축된 성곽으로 둘레는 1,050m이며, 지표조사 및 3차례에 걸친 발굴조사 결과 문지 3개소, 집수정, 조선시대 건물지 12개소가 확인되었고, 백제시대 “상부상항(上部上巷인)”라는 인각와(印刻瓦), 기마병(騎馬兵)의 선각와편(線刻瓦片), 통일신라시대의 “本彼官” 명문와 등 다량의 기와가 출토되었다. 이처럼 정읍 고사부리성은 잔존상태가 양호한 다양한 유구와 유물로 인해 우리나라 고대 산성 연구에 중요하고 획기적인 자료가 되는 중요 문화유적으로 역사적·학술적 가치가 크다. 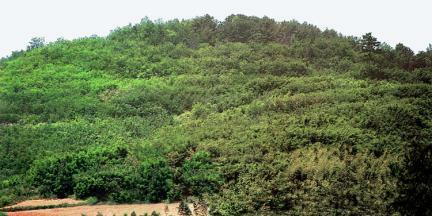 This fortress encircles the two highest peaks of Seonghwangsan Mountain, which rises 132 meters above sea level. 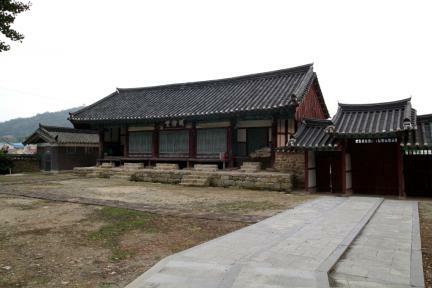 It was first built during the Baekje Period (18 BC - AD 660), rebuilt during the Unified Silla Period (676-935), and used continuously through the Goryeo and Joseon dynasties until the county administrative seat withdrew from Jeongeup in 1765, the 41st year of the reign of King Yeongjo. 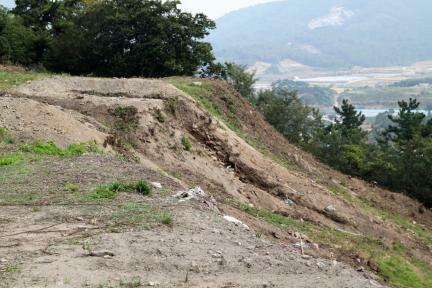 The fortress walls were originally built of stone but were rebuilt with mud during the late Joseon Dynasty (1392-1910). 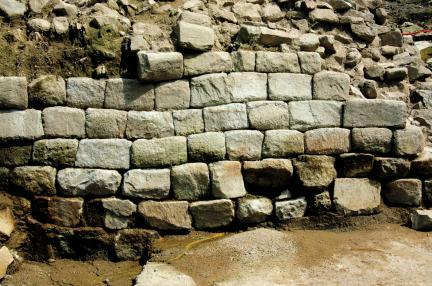 Currently, the total length of the walls is 1,050 meters. 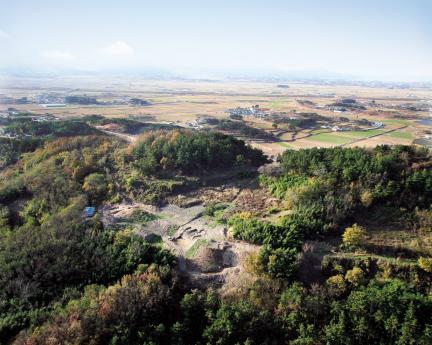 Surface surveys and three excavations unearthed 12 Joseon Dynasty building sites, 3 gate sites, and remains of a reservoir. 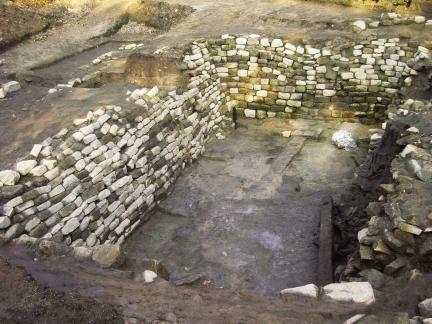 Many roof tiles were unearthed as well. 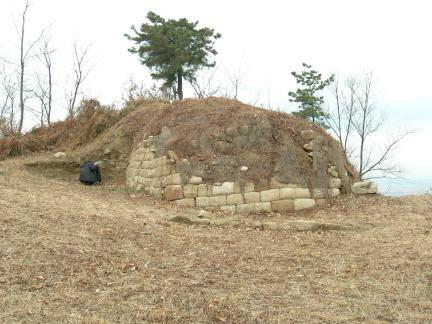 Among them were remarkable pieces such as Baekje tiles stamped with "sangbu sanghang" (district of the capital city) and decorated with a linear carving of a mounted soldier and Unified Silla tile inscribed with "bonpigwan" (title of an official dispatched from the royal capital). 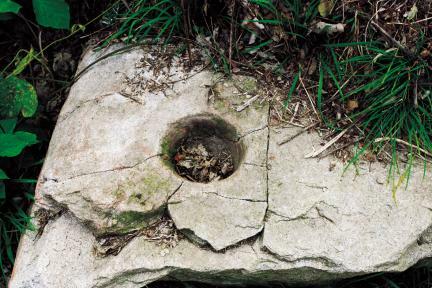 The underground remains and artifacts are in good condition and are critically important materials for the study of ancient Korean fortresses.